Seville (Spain) – April 3, 2019 (travelindex.com) – Travel and Tourism generates economic growth, create jobs and reduce poverty. 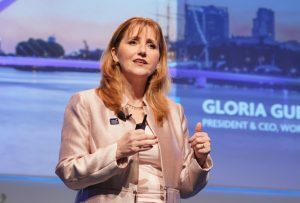 That was the message from Gloria Guevara, President & CEO, World Travel & Tourism Council (WTTC) as she addressed over 1,500 global leaders at the opening of WTTC’s Global Summit in Seville, Spain. 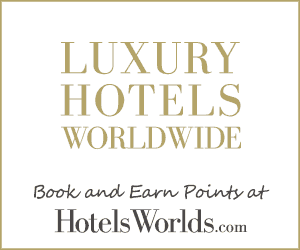 WTTC represents the global private sector of Travel & Tourism and its Global Summit is the most important event of the year. “Last year we saw 1.4 billion international arrivals and 4.4 billion people flying around the world. Factoring in domestic tourism, there were around 7 billion trips last year alone – and this is just the beginning. “As the Travel and Tourism sector continues to grow, new markets open up, and more people have the opportunity to travel, we need to make sure that we stay ahead of the curve by considering what the future of travel looks like, who the consumers of tomorrow will be and what they will expect. That is why we are here today, and why the theme of this year’s Global Summit is ‘Changemakers’. “Over the next decade our sector will generate an additional 100 million jobs, meaning that 1 in 4 new jobs created will be thanks to Travel & Tourism. Our sector is truly the best partner for governments to generate economic growth, create jobs and reduce poverty. But we cannot take historical strong performance and positive forecasts as a given. “The reality is that the world is confronted by significant challenges that require coordinated global action, changemaking behaviour and more collaboration. If we don’t work on our future, the growth predictions could fail to materialise, impacting millions of jobs and progress towards the SDGs. The 2019 WTTC Global Summit is now underway in Seville, Spain, and hosted by Ayuntamiento de Seville, Turismo Andaluz and Turespaña.